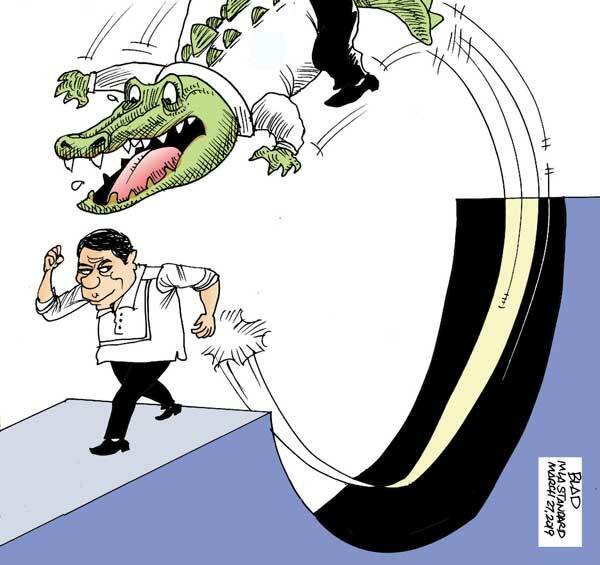 President Rodrigo Duterte has often said he will not tolerate even the “whiff of corruption” from the men and women that work for his administration. On occasion, he has proved this by firing high-ranking officials and heads of agencies who have been caught up in allegations of wrongdoing and abuse of office. The President returned to this theme Sunday, during a campaign rally in Cagayan de Oro City for candidates running under his PDP-Laban party, where he once again lamented that he had to remove officials who had helped him get elected. In a tacit admission that not much else befell those he had fired, the President also urged the Ombdusman to investigate and prosecute the sacked officials. That seems to be the line that his spokesman took Monday about a member of the Philippine Charity Sweepstakes Office, Sandra Cam, who has been accused of graft before the Office of the Ombdusman. A private citizen, Lino Espinosa Lim Jr., asked the Office of Ombudsman last week to investigate Cam’s properties, including a newly opened resort in Masbate, which he alleged were worth P500 million. In his letter, Lim alleged that Cam failed to include these in her statement of assets, liabilities and net worth for 2017 and 2018. Cam said on Monday confirmed she owns properties in Masbate but denied her assets are worth P500 million. She also said former PCSO general manager Alexander Balutan—who had resigned over allegations of corruption—was behind the unexplained wealth complaint against her. Reacting to suggestions that Cam be fired, like other officials who had been touched by that whiff of corruption, or at least investigated, the Palace demurred. This is all and good. Cam, like any other person accused of wrongdoing, is entitled to due process, which we presume is what she will get from the Ombudsman. On the other hand, if the President insists on firing people on the mere whiff of corruption, he ought to do this consistently, no matter who is involved. To add credibility to his tough stand against corruption, he might also wish to reconsider his practice of reappointing those he has fired to other positions in government. That just spreads the odor around.